New Puzzle App Sets for October and Beyond! Halloween looms near, fellow puzzlers, but we’ve got our tricks and treats for you early! 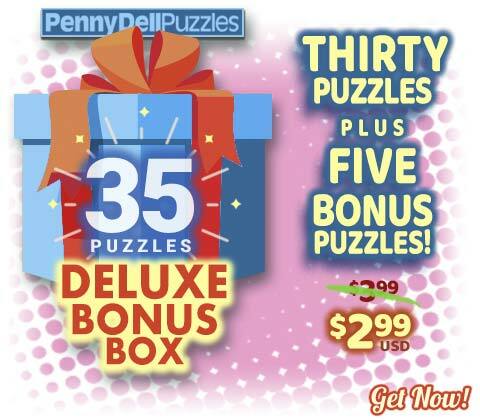 That’s right, our newest puzzle sets for the Penny Dell Crosswords App! Our October Deluxe puzzle set just launched for both iOS and Android users, and it offers the quality solving experience you’ve come to expect from PuzzleNation! Scare up some puzzles for yourself and indulge in this marvelous puzzle bundle, designed for any skill level! Offering 30 easy, medium, and hard puzzles, plus 5 October-themed bonus puzzles to please solvers of all skill levels, the October Deluxe puzzle set is full of frightfully great crosswords for everyone! 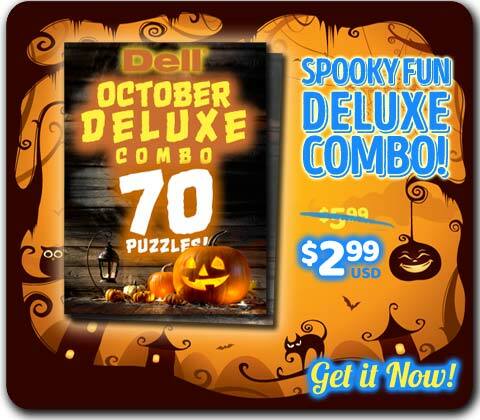 That’s right, double down on puzzle goodness with the October Deluxe Combo! That’s 70 puzzles, including October-themed bonus crosswords for your puzzly pleasure! But maybe you need more! Maybe, just maybe, your puzzly sweet tooth isn’t satisfied quite yet. 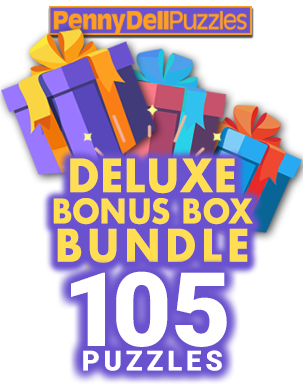 And if you want the most bang for your buck, we’ve got you covered with the October Deluxe Bundle! That’s 105 puzzles, three times the costumed clues and creepy crosswords, ready for you to solve! And if the October motif just isn’t for you, worry not! We’ve also released two Bonus Boxes loaded with additional puzzles! 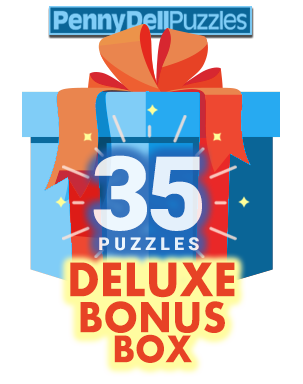 There’s the 35-puzzle Deluxe Bonus Box, which includes 5 themed puzzles, or our Deluxe Bonus Box Bundle with TRIPLE the puzzles! That’s right, 105 puzzles, including special themed ones you won’t find anywhere else! 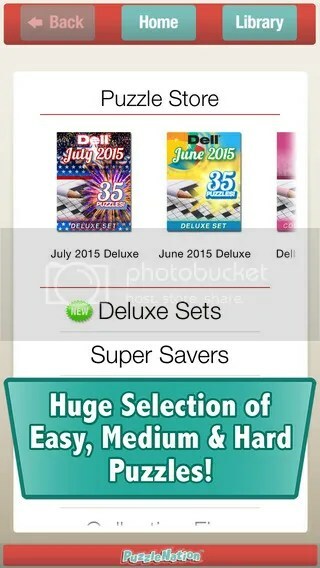 New Puzzle Sets for the Penny Dell Crosswords App! Oh yes, we’ve got a bonus post for you today, and it’s loaded to the brim with puzzly goodness for both the Android and iOS versions of the Penny Dell Crossword App! Let’s start October right with the October 2016 Deluxe Set! You get 30 easy, medium, and hard puzzles, plus 5 themed bonus puzzles to keep you on your toes! But maybe you’re looking for something a touch less spooky? How about our new Deluxe Fun Set 8? It’s loaded with 30 easy, medium, and hard puzzles, plus 5 bonus puzzles! And if that’s not enough Dell-brand deluxe crossword goodness for you, we’ve got you covered! 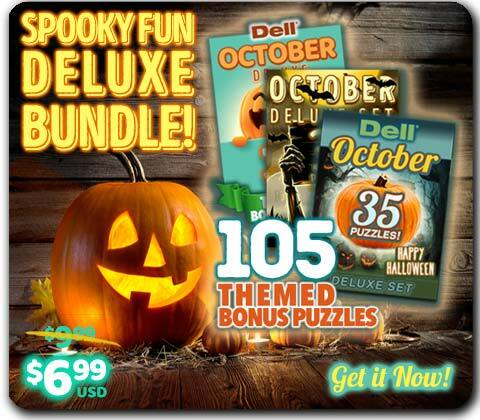 If you want a little more bang for your buck, a few extra treats in your trick or treat bag of goodies, check out the Deluxe Fun Combo, which offers double the puzzles to choose from! That’s right, 70 puzzles ready and waiting for you to solve! And that’s not all! For the prolific puzzlers and savvy solvers amongst you, we’ve just launched the perfect puzzle bundle. Collection 16 offers 150 puzzles designed to satisfy and challenge any puzzler! With these four new puzzle sets to choose from, we proudly continue to set lofty standards for ourselves with puzzle quality and variety! PuzzleNation means terrific puzzles right in your pocket, and when you nab these puzzle sets, we know you’ll agree! A brand-new puzzle set for the Penny Dell Crosswords app! Just in time for all the spooks, tricks, and treats for Halloween, we’re back with a new puzzle set for Penny Dell Crosswords App. 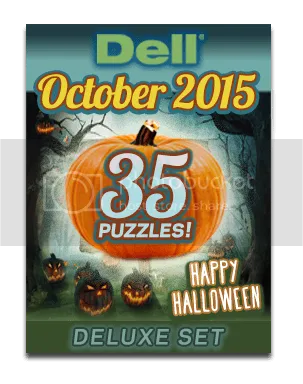 Yup, just weeks after launching Dell Collection Nine, our latest 150-puzzle pack, we’re excited to announce our newest downloadable content for the Penny Dell Crosswords app, the October Deluxe set, is now available through the App Store! 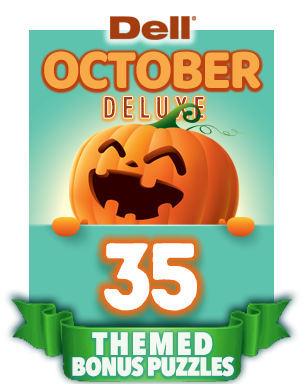 That’s right, it’s almost All Hallows Eve, and our October Deluxe set offers 35 terrific themed puzzles. Not only do you get 30 easy, medium, and hard puzzles, but there are 5 bonus puzzles you can unlock as you solve! We are dedicated to providing PuzzleNationers with the best puzzle games on the market today, and with this new deluxe set of puzzles, we’ve continued that proud tradition. Terrific crosswords right in your pocket! What more could you ask for?